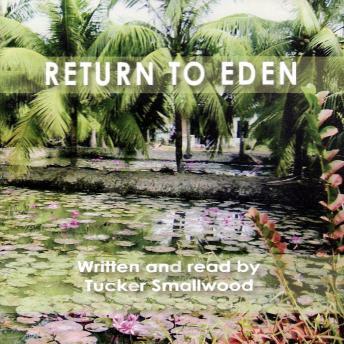 RETURN TO EDEN was written and is narrated by Tucker Smallwood. His name is familiar to some but his face and voice are recognized all over the world, from his work as an actor in film and television. In 1969, Tucker commanded an Army Advisory Team in the Mekong Delta, living with and helping Vietnamese militia defend their village. On a fateful Sunday afternoon he was critically wounded and at one point pronounced dead. He survived multiple surgeries, eventually recovered and moved to New York to study acting with Sanford Meisner. On Christmas Day 2004, Tucker returned to the delta village he'd helped defend so many years ago. This is an intensely personal work, some 33 essays that engage his training, his memories of combat, his work around the world as an artist, his struggles with PTSD and his pilgrimage to the place that had defined his entire life. Each story is true. They will amuse you, intrigue you, provoke you and touch you. It is work not easily forgotten. There are 55 photographs from his book that enhance the experience and can be viewed by listeners at his website: Tuckersmallwood.com He asks that you share these words with anyone in your life that has been touched by war.